Acne keloidalis nuchae is technically not a form of acne but may be a type of folliculitis. Some dermatologists call the condition folliculitis keloidalis nuchae. In this disorder, firm discolored bumps appear on the back of the neck near or above the hairline. 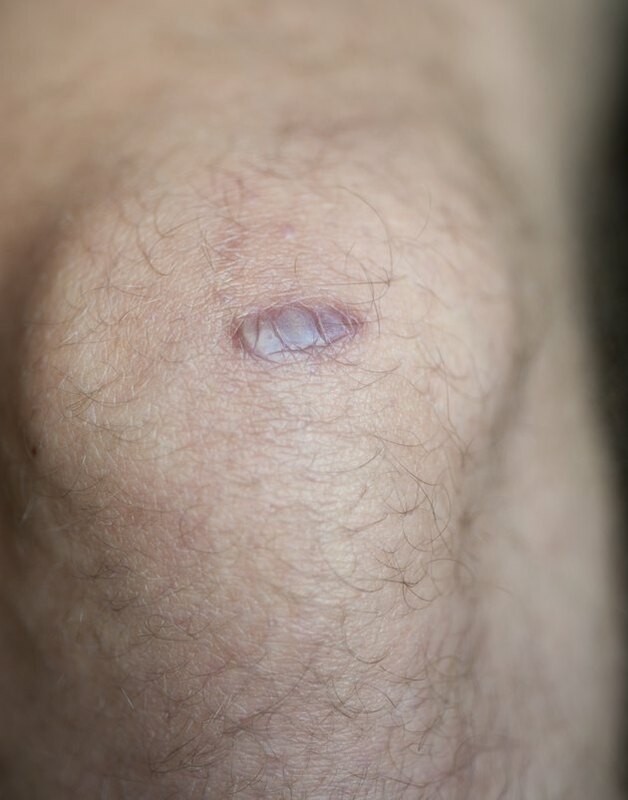 These lesions look like keloid scars. Most cases occur in African-American men, according to Crutchfield Dermatology, but anyone can have the disorder. Early treatment is important to prevent the bumps from becoming larger and merging together. See a dermatologist to get a definitive diagnosis, recommendations for treatment and prescription medicine for the condition. Avoid irritating the acne keloidalis nuchae bumps. Do not scratch, rub or pick at them. Don't perform close shaves in the area or use oily hair products there. Avoid wearing shirts or hats that rub the back of your neck. Apply topical preparations as directed by your doctor. These may include topical cortisone or steroid creams or gels, which reduce itching, inflammation and swelling. Topical antibiotics eliminate infection. A retinoid cream such as tretinoin or tazarotene also can improve skin appearance. Take oral medications as prescribed by your doctor. A standard treatment could involve a three-month course of the antibiotics clindamycin and rifampicin, along with the retinoid isotretinoin. Your dermatologist also may recommend a short course of prednisone or another oral corticosteroid therapy if your acne keloidalis nuchae is severe. Have hair in the affected area removed by laser therapy. This can prevent an early mild case of acne keloidalis nuchae from becoming worse. Have steroid injections administered by your dermatologist. If she decides this therapy is advisable, she will inject steroids directly into the lesions. Discuss surgery options with your dermatologist. Some acne keloidalis nuchae cases can be resolved with laser excision, but surgical removal of the bumps may be necessary if the condition is severe.